Whilst my OCD has dominated almost half my life, causing so much distress and affliction, it has also played a huge role in teaching me many things about myself. I wouldn’t be who I am today without having battled OCD. Struggles shape us in many different ways, and I feel like I am somewhat of a stronger person than what I would’ve been without my struggles with mental illness. With 2016 fast approaching, I’ve spent quite a while looking back and reflecting on previous years. I turn 17 in 3 days and I started this blog back when I was 14. It does scare me how fast time slips by and the big milestones approaching that have to be met in the coming few years. However, the passing of time is something I don’t have control over. Time will proceed no matter what, and I have to learn to be comfortable with that. So as a result of what’s happened over the past few months, I’ve realised I really need to take some time to see the positives behind the things in which I’ve struggled with because it’s very easy to slip into a really negative outlook when your life feels dominated with mental illness. So…what has my OCD has taught me? I know this isn’t specifically about myself, but it’s something I’ve learnt to do. Initially, I sort of stumbled into getting help, I was sceptical and nervous about reaching out to someone. Would they understand? However as years have gone by, I’ve seriously come to learn how crucial and important my support system is to me. I couldn’t be more grateful to those who look after and support me week to week, through some really awful times. It’s also taught me that you need a team to fight OCD. By blocking people out and hiding away, I was only making things tougher for myself. There’s only so much you can withstand alone. CBT is the main form of treatment for those with OCD and I’ve probably done my fair share of it over the past few years, however, it has allowed me to gain skills in which I will use for life. I think CBT, or really any type of therapy, can be mistakenly perceived to only be useful when in session. Or only for the period of time that you’re in therapy, which couldn’t be more false. The skills you learn will stay with you for life. Throughout my therapy, I’ve learnt so many skills for coping with anxiety, stress, low mood etc, that I put into practice even when I’m not specifically tackling an aspect of my mental illnesses. For example, we all get anxiety before exams and it can be easy to freak out. However, I find that I almost subconsciously use the skills I learnt when coping with anxiety after an exposure, in this situation to calm myself down and rationalise before exams. Which is something I’m so grateful to be the able to do. Without my OCD, I wouldn’t have acquired these skills. 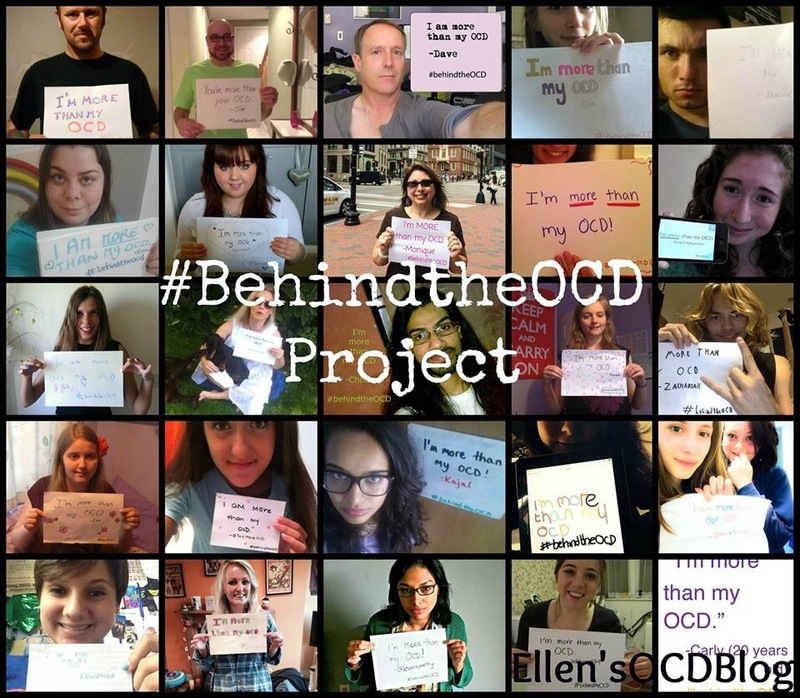 Now I’m unable to say whether I would’ve started a blog on another topic if I hadn’t of struggled with OCD, but as many of you know, this blog was initiated because of my struggle with OCD. If I could help just one person, then it would make me complete. I wanted to take a horrific disorder and turn what I’ve learnt into a resource for others in similar circumstances. As a result of my blog, I have really awoken my love for writing and it lovely to know that others like what I write too. Without having struggled with OCD, I don’t know if I would’ve discovered my passion for writing and I wouldn’t have had the privilege to experience what I have because of my blog. These past few months for me have been really hard and I’m so sorry for my lack of activity on here as of late. I know this blog is mainly focused on my fight with OCD, but it’s not the only thing I struggle with. There are several other diagnosis’ that have really knocked me down recently and it’s making things seriously difficult. Consequently, I’ve been unable to write anything coherently or be in the correct mindset to write and it really does chew me up that I’m letting you all down. This blog means the world to me and I want to have it be as useful as possible, but I guess when I’m not that useful at being a human being, I can’t really fake being useful on my blog. So just know that I’m not giving this up, I just need some time to get better again. I would like to try and get to a place in 2016 where I can post roughly once a week, but I can’t promise anything at the moment, but I honestly really will try. I wish you all a very happy new year and know that 2016 could be the year for something amazing. Don’t underestimate yourself before it has even arrived, anything can happen. At the same time I want to tell you I’ve learnt a lot by reading your blog! An OT question from me to you (hope it’s OK, otherwise you can delete my comment). It goes like this: Religious people seem to like rituals. So what do you think about a possible connection between religiosity and OCD? Maybe it’s “easier” for a person suffering from OCD to engage in religious activities? Perhaps all the religious rituals can convey consolation and security to OCD sufferers and religion therefore is experienced as attractive to them? What’s your take on that, Ellen? You seem to know a lot about OCD. That’s why I want to ask you for your opinion. Ellen, you have not let any of us down by not posting. It’s not the quantity of posts, it’s their content, and if you never posted another word (don’t get me wrong, I hope you do!) you will have still succeeded in helping so many people. Just put yourself first, do what you need to do, and I will keep you in my thoughts. Wishing you a wonderful 2016 and a happy birthday. What an awesome 17 year old!! I don’t suffer from OCD, but I have a relative that comes home from work each day and feels compelled to count the pine cones in her backyard. OCD can take on many forms, so I can definitely see this as being a legitimate compulsion. I’ve been suffering from Pure OCD for half a year now and was formally diagnozed by my therapist two months ago. When it was untreated, it caused me so much stress and anxiety that I thought I was going crazy. I was literally afraid of my own thoughts. I knew about OCD, but I wasn’t aware that it can take the form of irrational fears without compulsions. Thanks to therapy and self-education on OCD and psychology, with each setback I’m learning more about how my brain works. Now my life is more like what it used to be a year ago, even though I’m far from being symptom-free. Mindfulness and acceptance also help a lot. (“Calm” is a good guided meditation app, by the way!) In therapy, thanks to my skilled counselor I also learned more about myself and now have a chance to work on becoming a better person and living the life I truly value. It is a real battle, but we are on the right way. I hope you’ll have a rich and fulfilling 2016. Sending you hugs from Ukraine! Hi Ellen 🙂 Happy Birthday and Happy New year! Your blog is a wonderful thing. Janet is “spot on.” Take care of YOU first, and if you feel like “blogging” that’s fantastic, but if not that is totally fine. You have already touched many lives and helped many people! This thread has reminded me of all I have learned and how it has changed me! And I’m an “old dog” when it comes to battling OCD. I’ve had it for at least 30 years and have been in proper treatment for 25. Thank you for reminding me that one of the big positives about OCD is that you learn a LOT. And you can use that education to help yourself, and most likely other people you meet…for the rest of your life! Being able to help others is an awesome thing. Thank you for reminding me about the benefits of all the education that people with OCD get when they are properly diagnosed and treated! Thank you so much Paul! I’m glad I was able to offer a further insight into this. 🙂 I promise to take care and to prioritise my health first. I’ll make an oath haha! What do u think about cbt,will it work good?? Wish u a very happy 2016 and keep fighting ocd…. Since when u r having ocd? I’ve had OCD since I was about 8/9. I’m not completely recovered by any means, but I’m able to manage a large portion of it now. We should have faith that the anxiety that occurs is not gonna end if we do compulsions,instead neglecting it will work in our fever.. I havn’t given up yet either. We CAN do this! Let’s Beat OCD together. All the Best.